Jennifer(her name when they were learning english) and Melanie. It was Jennifer's birthday...which actually was on the same day as mine...so freaky to travel half way across the world and bump into someone born on the same day..meant to be? coincidence? synchronicity? Anyway more on Melanie... She has travelled around the world from India (her favourite place) to Bali, Indonesia, Thailand and more. 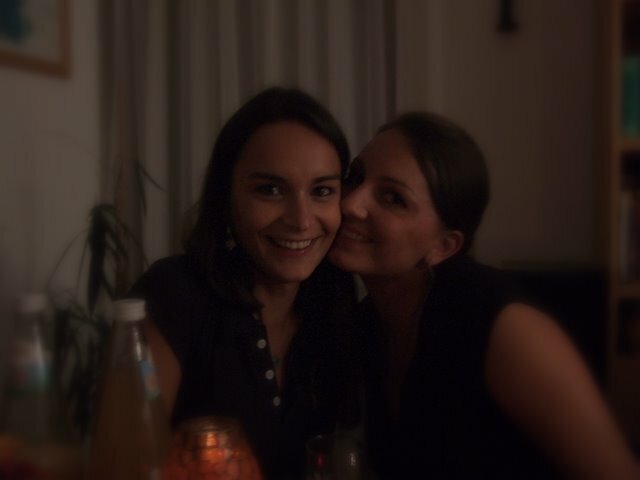 I met her through the hospitality club and spent the Saturday hanging out with her, at her friend's Birthday and a great club called Zapata in Stuttgart. She currently is restless to travel again and doesn't mind the less developed destinations, being able to tolerate the dirt and grime. (..hmmmm I have yet to be able to do that) and loves the tropical weather. She knows French and Italian and so easy to talk to...seemed like we got to Stuttgart in no time as we talked. She spends most of her time looking after kids in a youth centre where her patience is sometimes pushed as it happens with boys in their teens. I had a great time and going to visit again of course! 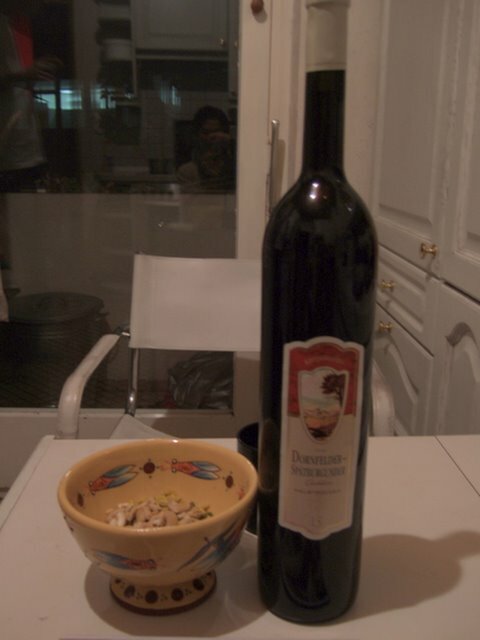 A really tall bottle of wine that we drank.